Writer – Writing reports, personal narratives, blog posts or any other type of content takes time. It is not uncommon to see students writing while listening to music, responding to text messages and checking social media accounts. While some may call this multi-tasking I tend to disagree. Anytime you are responding to a text message or taking a call you are not writing. Studies have shown that it can take several minutes to get back on task after being interrupted. Combine this with distractions occurring every 3 minutes and you can quickly see the negative consequences ahead. Writer is a free Google Chrome application that creates a distraction free writing environment. There are no crazy fonts, settings or other distractions to deal with. I find it best to use Writer in full screen mode (right click when opening the app and choose “Open Full Screen”) to keep me from wandering back to my email every few minutes. Simplify Tool - Visit almost any website and you will quickly be overwhelmed with the number of advertisements, links, and other options trying to gain your attention. Luckily several tools exist that can help declutter sites so that you can focus on what’s important. If you are a Read&Write for Google premium user the simplify tool on the web toolbar is tough to beat. Not only will it declutter web pages, but it can also reduce the amount of text on simplified pages and provide access to other support tools to read text aloud, find definitions, highlight important content, and more. If you are not familiar with the tool, the video below provides a good overview of how it works. StayFocusd- For those who just can’t stay away from checking social media or other time draining websites there is StayFocusd. This Chrome application allows you to set a limit on the amount of time you can spend on non-productive sites. When your time is up that’s it. You can start again tomorrow. This app is great for those who have good intentions of getting work done but find themselves constantly distracted by wanting to just “quickly” check in on other sites. RescueTime – If you are unaware (or in denial) about how much time you actually spend on non-productive sites you may want to check out RescueTime. This handy tool allows you to track the amount of time you spend on sites (and set goals for the amount of time you should be spending) for free. You also receive a weekly email with your progress. The premium version offers more tools and allows you to block certain sites similar to StayFocusd. Focus@Will – Last but not least is a tool I discovered a few weeks ago from Michael Hyatt called Focus@Will. 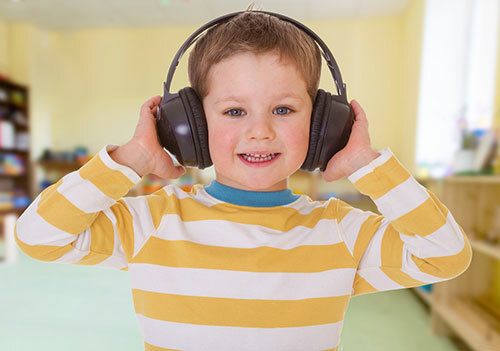 Research suggests that music can help with productivity and learning, but not just any music. 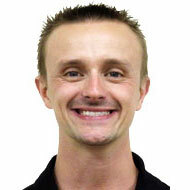 Focus@Will has done extensive research into what music works best for learning and has created playlists accordingly. I am currently still using the free trial, but will likely be paying the $5/month fee to upgrade soon. I highly recommend giving it a try and encouraging your students to do the same. My favourite part is the productivity tracker that allows me to set the amount of time I want to work on a project, then share my level of productivity. Hopefully these tools will help you and your students be more productive in the weeks ahead. Are there other tools you are using in class to help remove distractions? If so I would love to hear about them in the comments section below.